A May 30 event highlights current precision medicine research, and offers a glimpse into the future. The Johns Hopkins Health Care & Surgery Center, which opened 25 years ago at Green Spring Station in Baltimore County, is growing once again. The president of Howard County General Hospital discusses his five years in the job and what lies ahead. A study that began 71 years ago is still breaking new ground as it follows its original cohort of Johns Hopkins medical students into old age. The site features short biographies of 31 leaders across Johns Hopkins Medicine. Visitors can learn what drew the women to the institution, what keeps them here, their proudest accomplishments and their advice for women aspiring to lead. A recording booth at the Johns Hopkins Outpatient Center is collecting patient and caregiver stories. The new type of brain retractor could reduce the likelihood of injury during surgery. A feasibility study showed a 55 percent reduction in patients’ use of emergency department and hospital services during the 180 days after the start of the program. Amazon’s virtual voice assistant may help overweight cancer survivors increase their daily activity and ultimately reduce the chance of their cancer coming back. Roughly 45 million Americans suffer from environmental allergies. 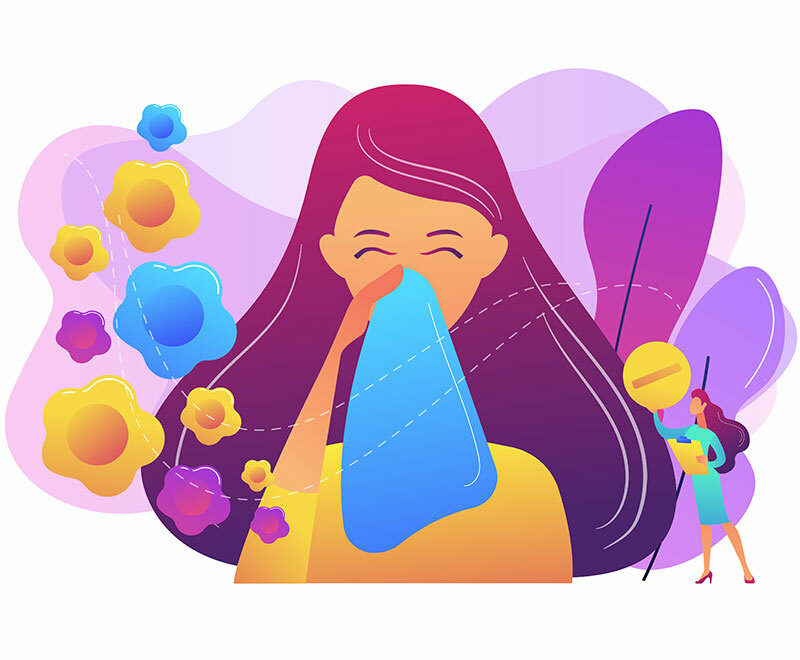 Dr. Sandra Lin, an allergy expert at the Johns Hopkins Sinus Center, answers some commonly asked questions about how to treat them.